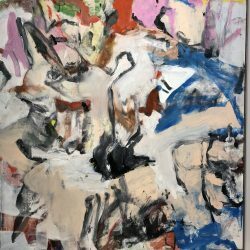 It’s nothing new: the contemporary art market consists of several strata, the most visible of which focuses on a small group of artists displayed by the most powerful galleries. This phenomenon tends to present a certain geographical unity: the majority of these kind of exhibitions are held in New York. This year, the most spectacular shows are taking place in Hong Kong as part of the art fair organized by Art Basel until 31 March, comprising 248 galleries. 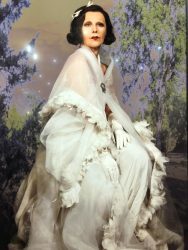 The new class of Chinese millionaires is a dream come true for the global art trade. To the extent that in Hong Kong a new 24-storey building baptised H Queen’s, designed by the architect who’s also incidentally a collector, William Lim, has just opened. 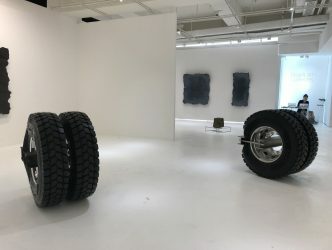 It has the distinctive feature of having been especially conceived to exhibit art – with installations in place to hoist the bulkier artworks through the various floors. Situated right in the heart of Central district, it belongs to the powerful local property developer Henderson Land Group, and Kristine Li, the chairman’s granddaughter, explains how she believes in the future of the art market in Hong Kong. 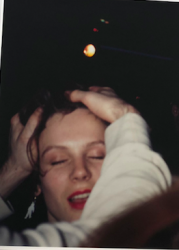 She’s not the only one, since two multinational galleries counting among the most powerful in the world, Hauser & Wirth and Zwirner, have set up their own outposts at H Queen’s. Hauser & Wirth is presenting works there by the American painter Mark Bradford (born in 1961), which were on sale for between 3 and 5 million dollars. The paintings are an abstract composite with a base of ripped paper, string and coats of paint. The ensemble is beautifully coloured and particularly attractive, but the prices seem prohibitive for a painting that’s not inventing anything new. 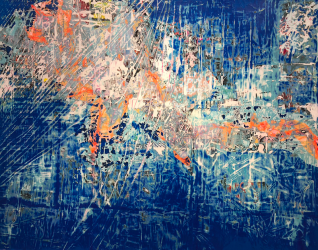 Mark Bradford represented the United States at the last Venice Biennale and on the 8 March Phillips auction house sold a painting by Bradford for 11.9 million dollars. 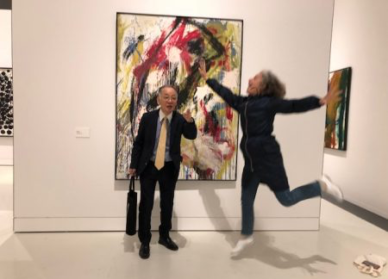 This was explained by Iwan Wirth, the gallery owner, who declared that all the artworks in the exhibition except for one have been sold to Asian institutions. He also reveals why he has established a branch in China, among other projects. The Zwirner Gallery is presenting in its space at H Queen’s the excellent work of German photographer Wolfgang Tillmans ( born in 1968), where the largest prints are on sale for up to around 100 000 dollars, but at their booth at the fair they are also exhibiting a group of recent artworks by Jeff Koons, offered for up to 9 million dollars. She analyses, from her perspective, the venue housing all these foreign galleries. 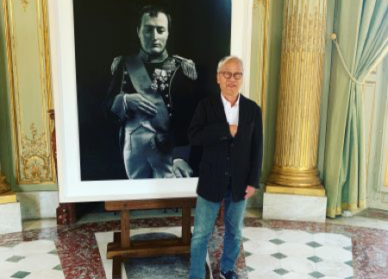 The gallery that has long been considered a global leader, that of Larry Gagosian, has been installed in Hong Kong for no less than 11 years. 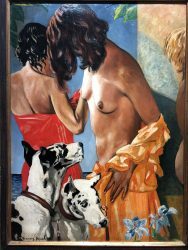 At the fair, the Gagosian is presenting, among others, an interesting painting by the important Dada artist Francis Picabia (on sale for 5 million dollars). The gallery director is Nick Simunovic. Here’s how he reacts to this competition. The Art Basel Hong Kong fair has become one of those phenomena that attracts many collectors but also other people from museums in this part of the world, so much so that the financier Tomilson Hill, chairman of the investment firm Blackstone , who is opening a foundation in New York in September, decided to display a selection of 15 artworks by the American conceptual painter Christopher Wool (born in 1955) in Hong Kong, right in the H Queen’s building. The transaction that’s made the most noise since the first day of the fair is the sale at the booth of New York dealers Levy Gorvy, to a private collector whose identity has not been revealed, of a 1975 painting (it belonged to Paul Allen, co-founder of Microsoft) by the artist who has become a classic of contemporary American art, Willem de Kooning (1904-1997) for around 35 million dollars. 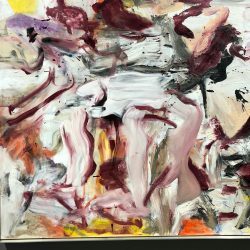 At the Richard Gray Gallery booth from Chicago, they are presenting a similar painting only slightly smaller, dating from 1979, on sale for 30 million dollars. 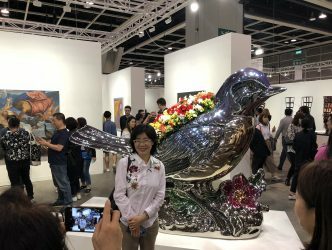 But not all the artworks at the ABHK fair are displayed for such sums. Marc Spiegler, the global director of Art Basel, emphasizes the offers made by the younger galleries. 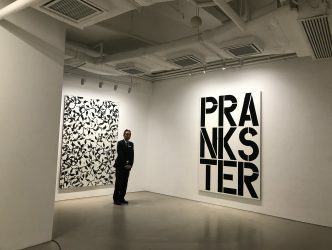 As for Adeline Ooi, director of the Asian section of the Swiss organization, she points out that Asia is in the process of rediscovering its recent contemporary heritage, like at 10 Chancery Lane, which is showcasing the calligraphy work that we might associate with the Chinese Pop Art of Hong Kong’s King Frog. 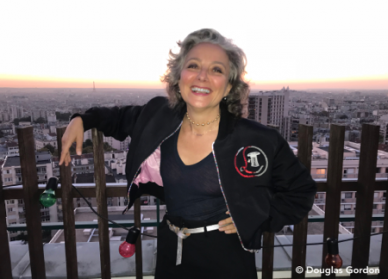 One of the most remarkable booths is that of New York’s Metro Pictures Gallery, which organized for the occasion a mini-retrospective of the major photographic artist, Cindy Sherman( born in 1954) (on sale for between 175 000 and 850 000 dollars). 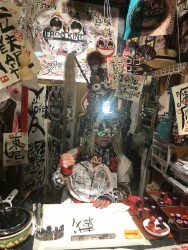 At their booth, the Michael Werner Gallery (London, New York) presents notices in Chinese for every artwork that can be scanned with the aid of WeChat, the app used by apparently a billion people in this part of the world. 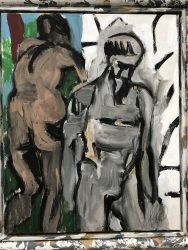 This was, according to the gallery director Gordon Veneklasen, a precious aid in selling canvases by the German contemporary expressionist painter, Markus Lüpertz ( born in 1941), between 125 and 225 000 dollars.